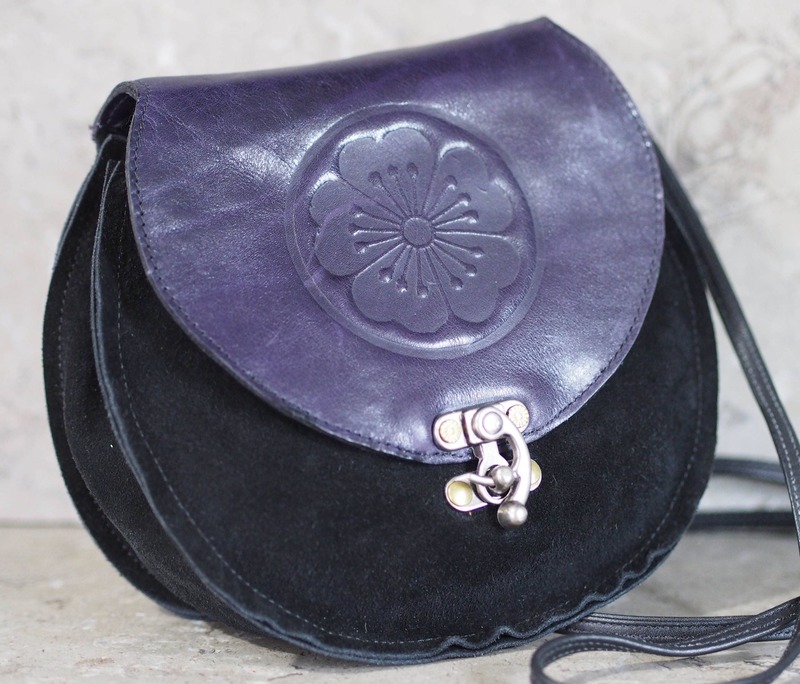 Fine glazed purple calfskin is embossed with a traditional Japanese plum blossom crest to form the flap for this sporran-style cross body bag. 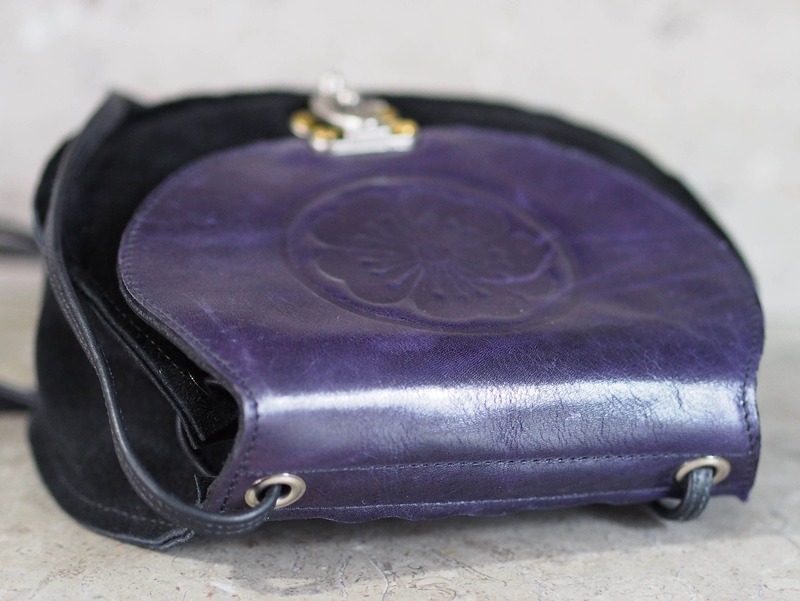 The bag is 7" across and high, with a 3" gusset that allows it to hold more than you think it can! The body is thick Italian produced cowhide split suede with a fine finish. 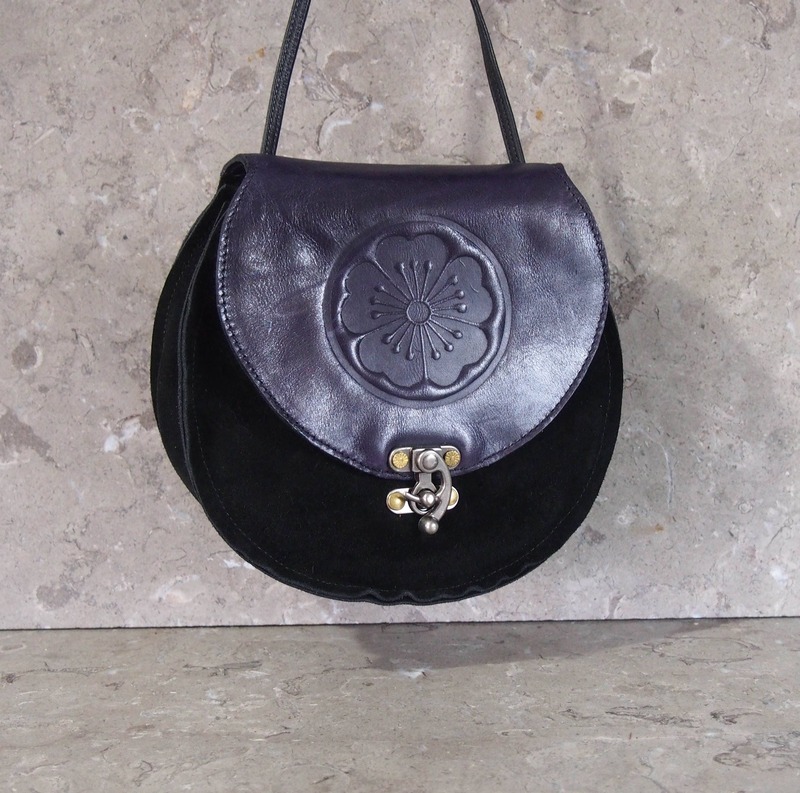 The flap and its lining are fine glazed calfskin in a rich purple shade, as suits the plum blossom design. 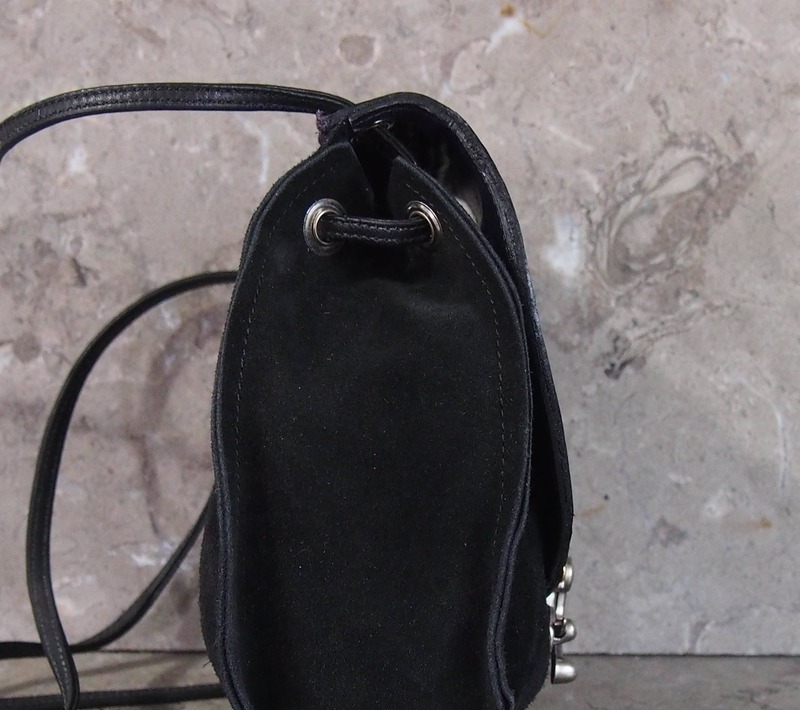 The flap extends about 5" from its top, and secures with an antiqued nickel finish "corset hook", which has a loop that fits over the stud so when hooked, it cannot unexpectedly come loose with any bag movement. The lining is glued and edge stitched to the flap, and the edges are treated with black edge enamel coating. 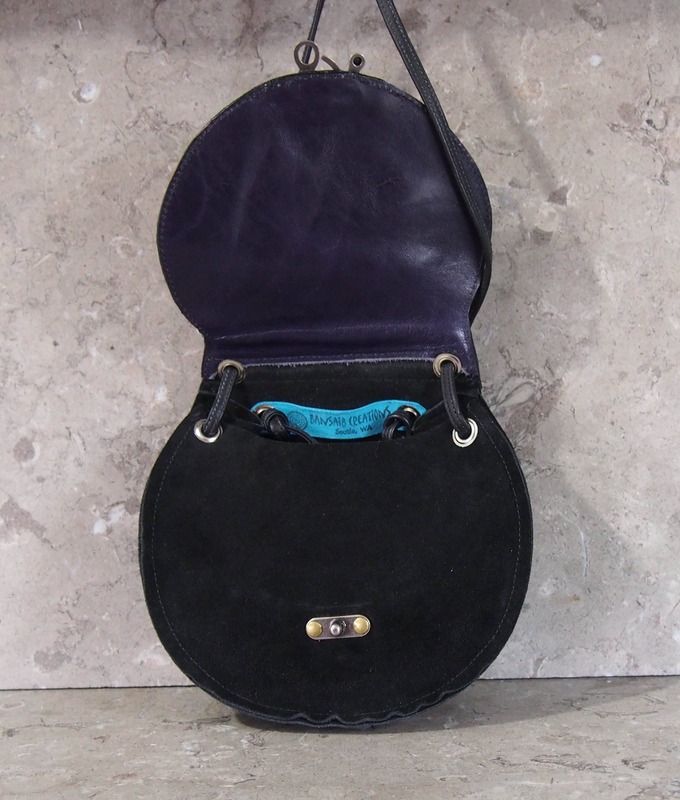 The hook is secured to the flap with rosette pattern rivets, hidden within the lining. 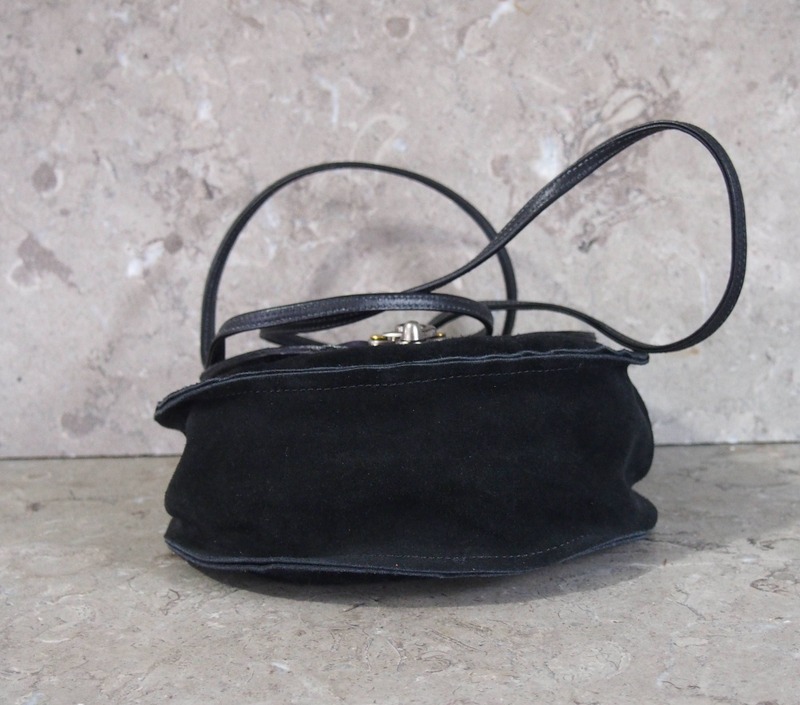 The stud portion is secured with smooth antique brass rivets, with an extra piece of leather for durability of the fitting and minimal wear of the suede front as the bag is used. The strap is commercially made folded calfskin to 1/4" and approximately 54" as shown, with double rows of top stitching to make it very strong. 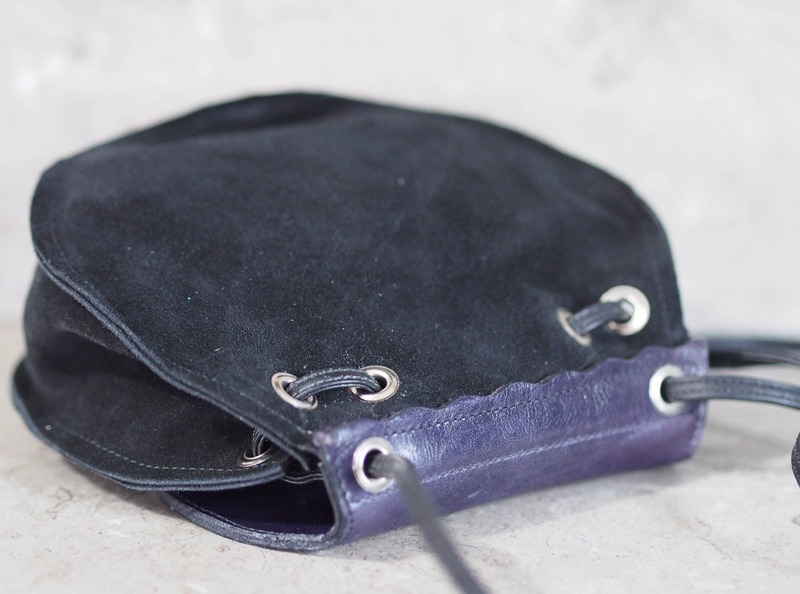 The strap is adjustable by knotting it inside the top of the bag, and the gusset opening can also be adjusted by sliding the strap along nickel grommets, and the strap comes out thru another set of grommets at the top back of the flap. The design is a traditional Japanese heraldry crest, and is hand carved onto a block used to hand emboss the leather (heat and pressure set). Many leathers were tested before confirming the quality and durability of the finished design. As with most of my work, I can customize a version to better suit your own color combination or size preferences.